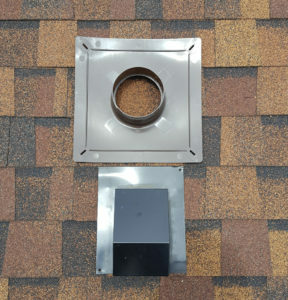 As shown here, the majority of roofers use the same box design for the bath roof vent. The flanges are small, making a watertight fit difficult. 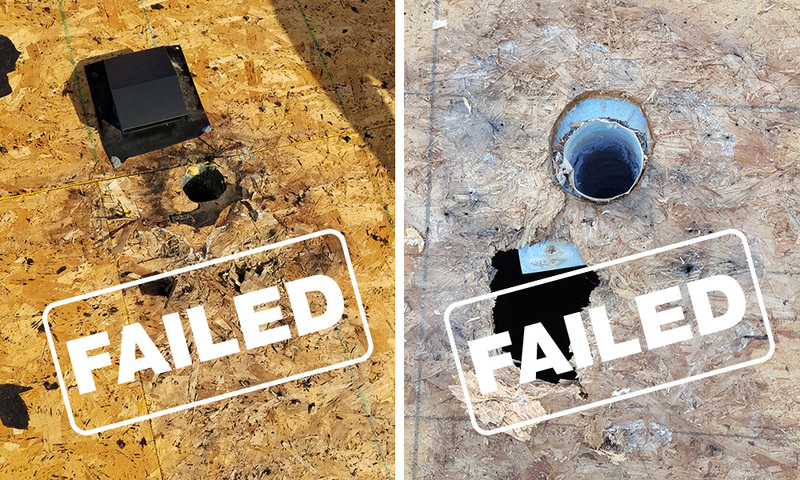 The water stains show how the box design allowed water to pool, backup and leak over the flange, causing water damage within the house. Robert’s base flanges are OVERSIZED, ensuring permanent waterproofing without the need of caulking. 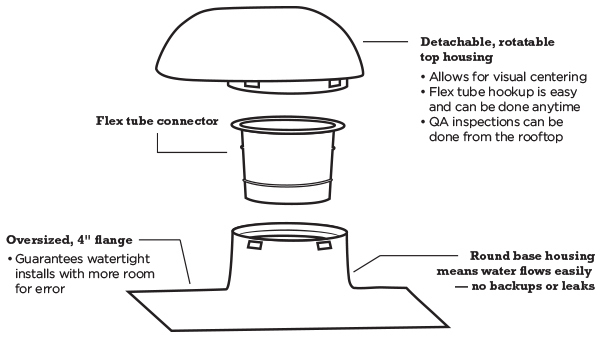 Plus, Robert’s round housing design doesn’t allow water to pool or backup. 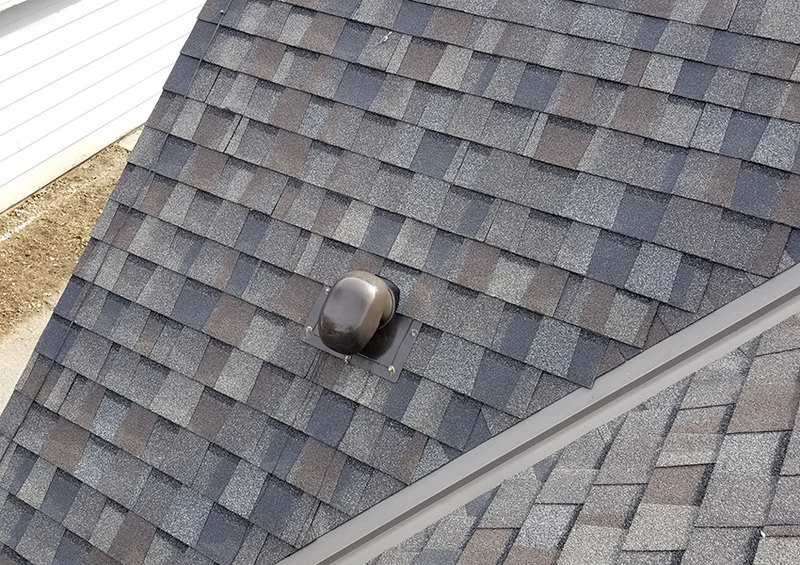 Video Covers: Key design features, what it’s made of, what makes it durable and installation on the roof. Email us for a bulk pricing sheet. 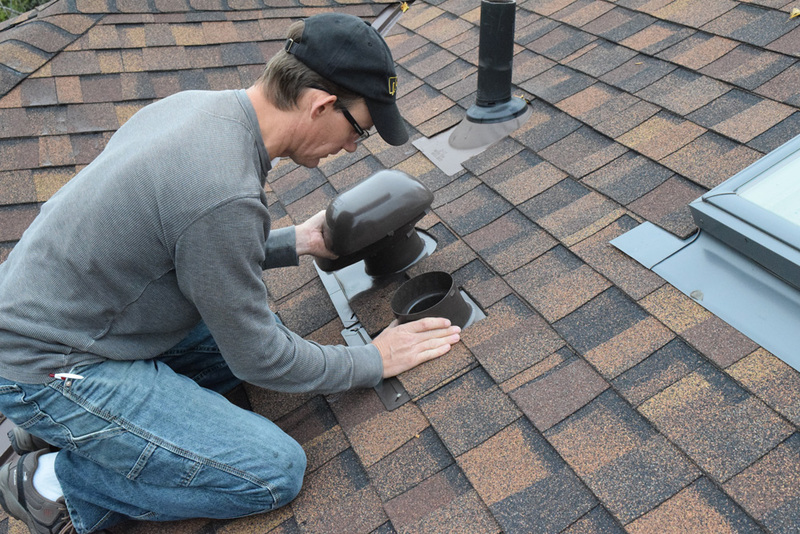 Roofers or do-it-your-selfers may turn to caulking or sealants to waterproof. 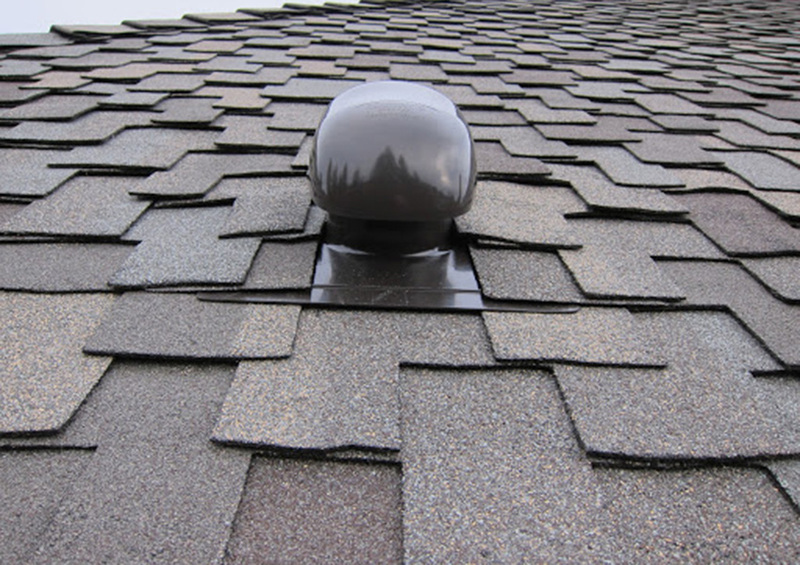 But sealants are not permanent – they eventually fail. 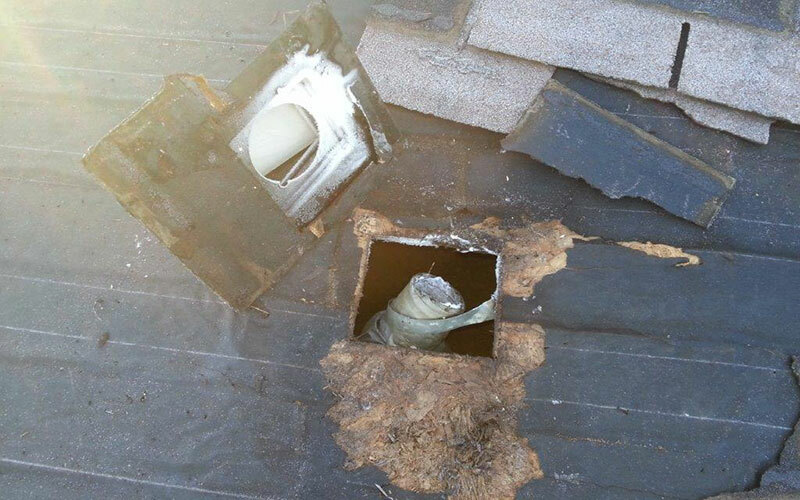 Image A: The roofer didn’t trust the small flange to stay watertight so they applied a sealant, which is failing. Image B: The sealant has failed, leading to a water leak. 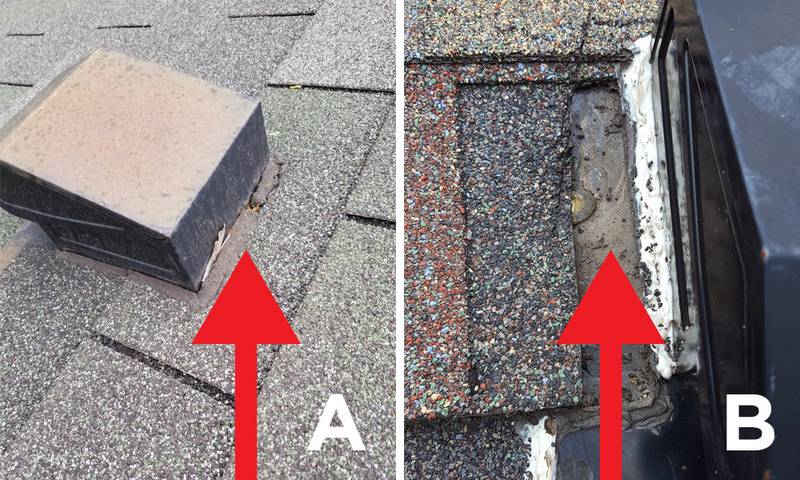 Sealant won’t protect from leaks, nor does inefficient design. 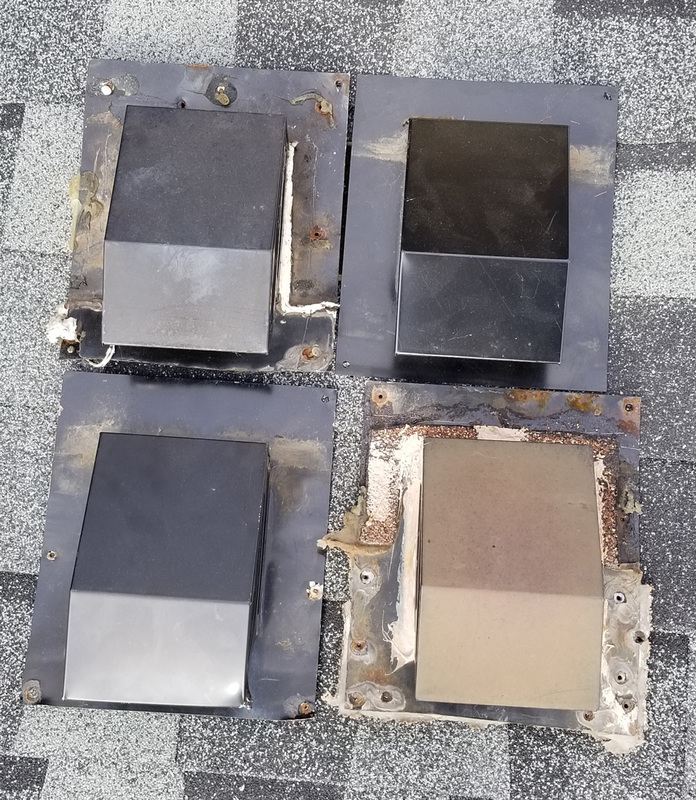 All of these were leaking and were replaced by Robert’s never-leak bath roof cap. 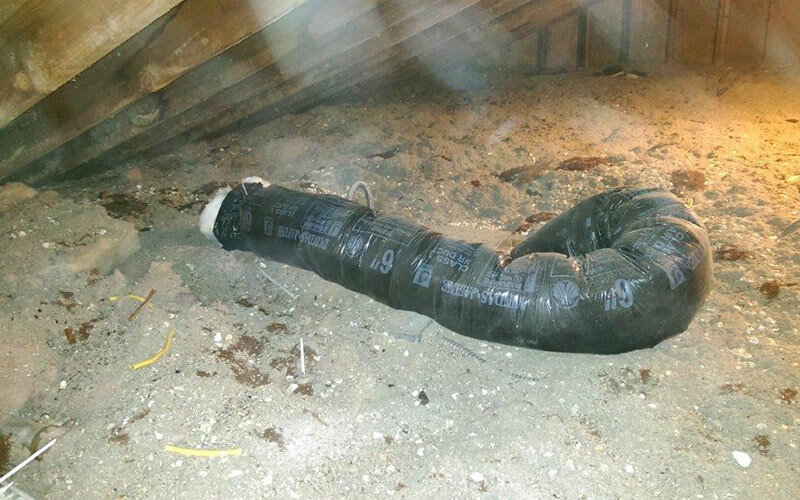 How About Wind-Driven Water Leaks? Robert’s also addresses this problem. 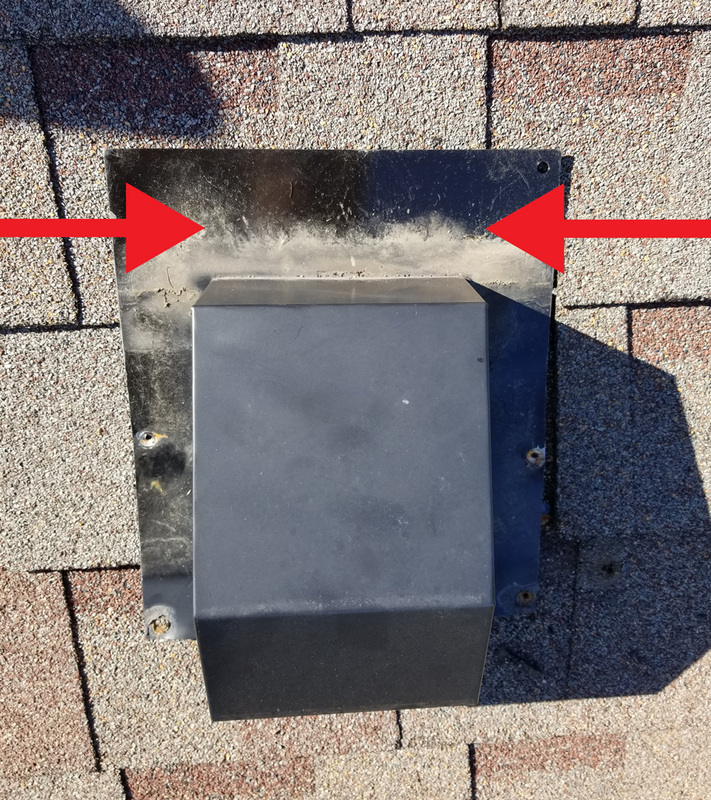 With Robert’s, it’s easy to inspect your vent connection, preventing nasty mold and condensation issues. 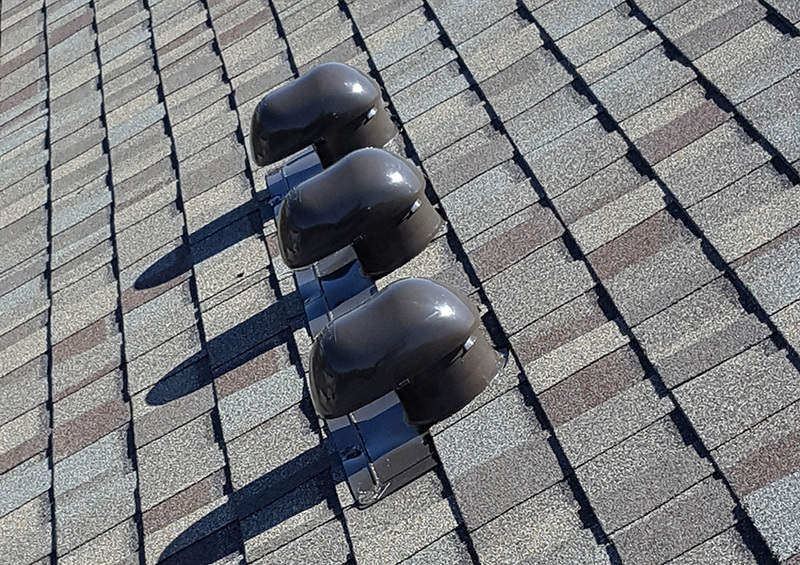 The benefits of a two-piece assembly is that you are able to unsnap the top vent cap to look inside, ensuring that your installers did their job of connecting the vent tubing. 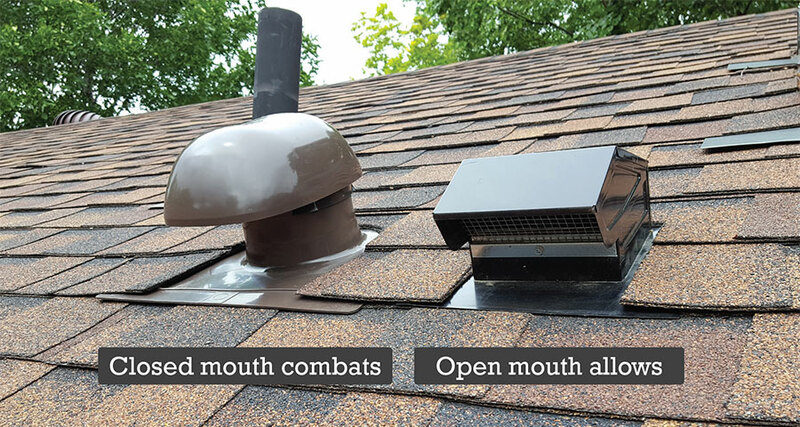 This prevents a mold and condensation problem from occurring. 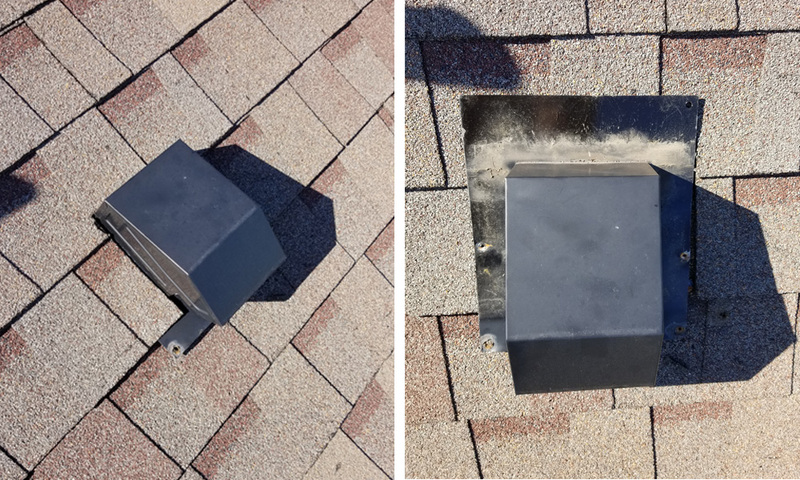 After inspecting, simply snap back on the top vent cap. 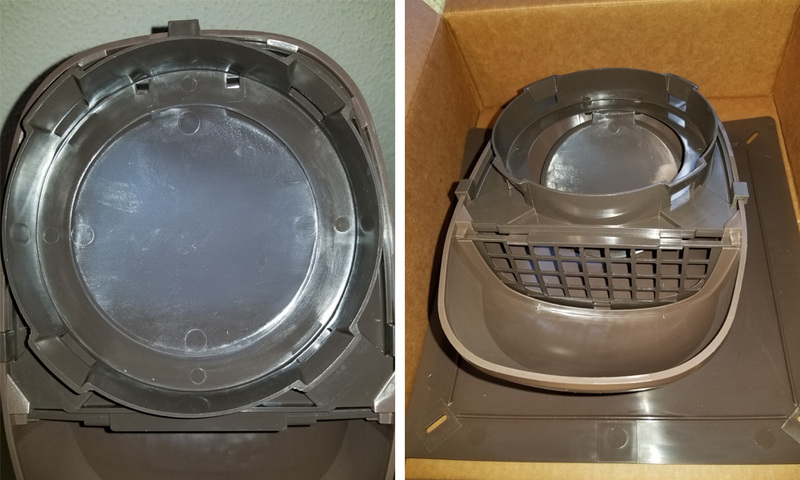 Included in each box is a coupler to connect the vent tube. 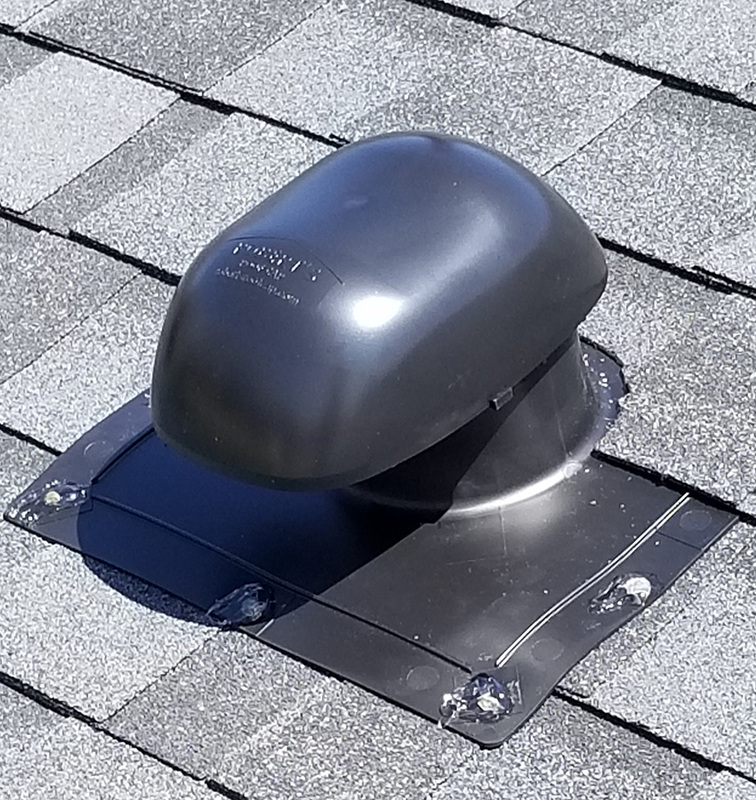 If the tubing is installed under the roof decking, simply center Robert’s base flange over the vent hole. If needed, place coupler inside to funnel air to the cap. 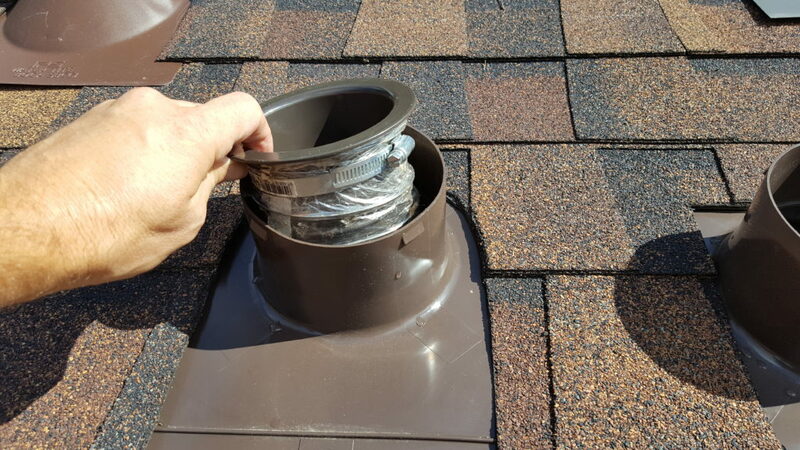 Then, snap on top vent cap. Yes, Robert’s has a backdraft damper and bird screen. 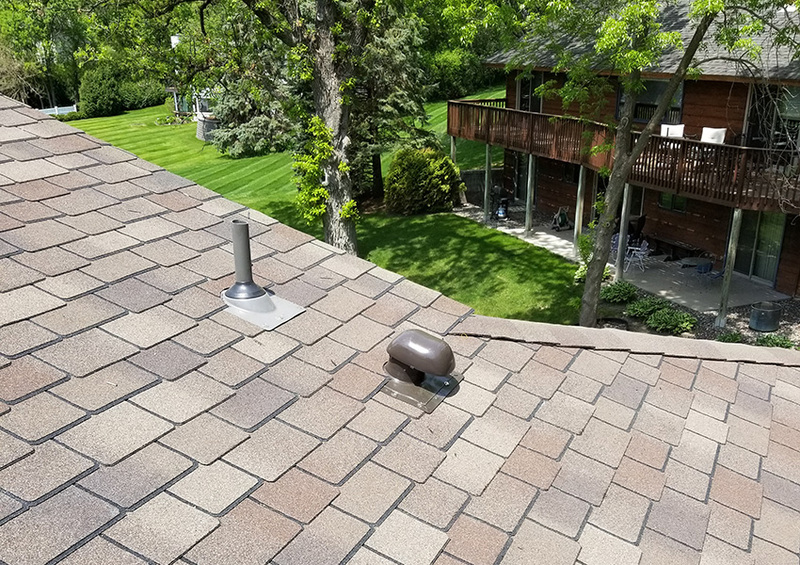 If Robert’s is used as a dryer exhaust roof vent, the bird screen must be removed. Follow the installation instructions. 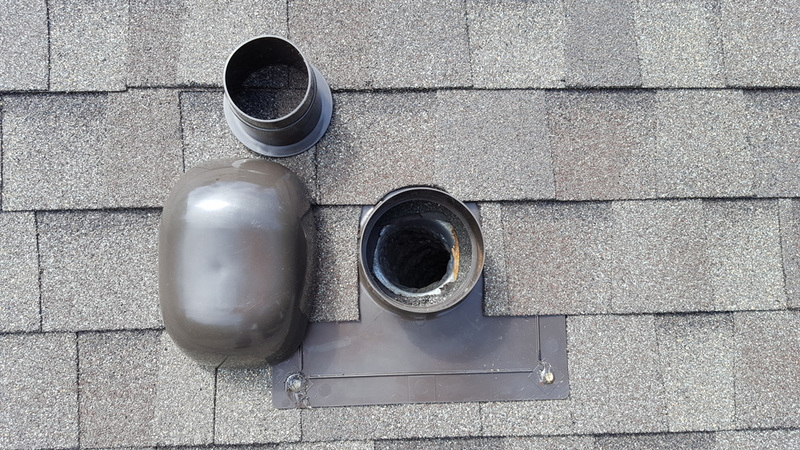 This leaking box design was replaced by Robert’s never-leak bath roof vent. 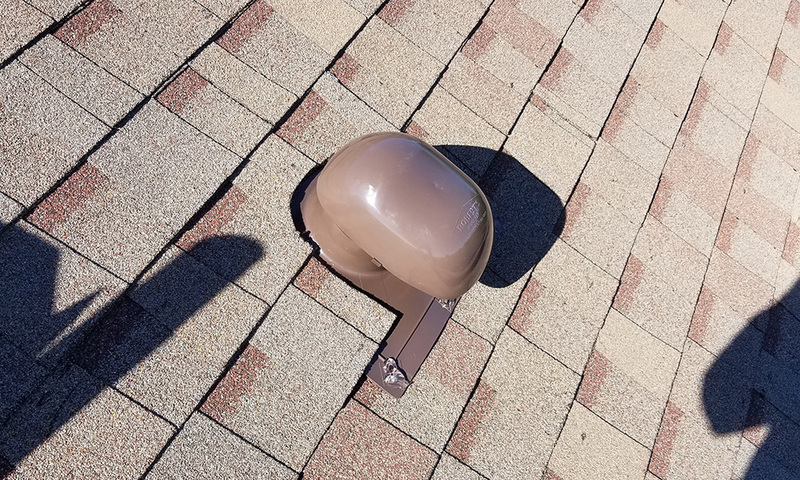 An unconnected bath roof vent caused this damage to the roof decking. Plus, there was mold inside the attic. So much opportunity to show building owners that you are better. Robert’s helps you to do just that. Robert’s bath roof cap – invented and owned by J. Robert Companies. Manufactured/distributed by Aroplax Corporation, Monticello, MN. 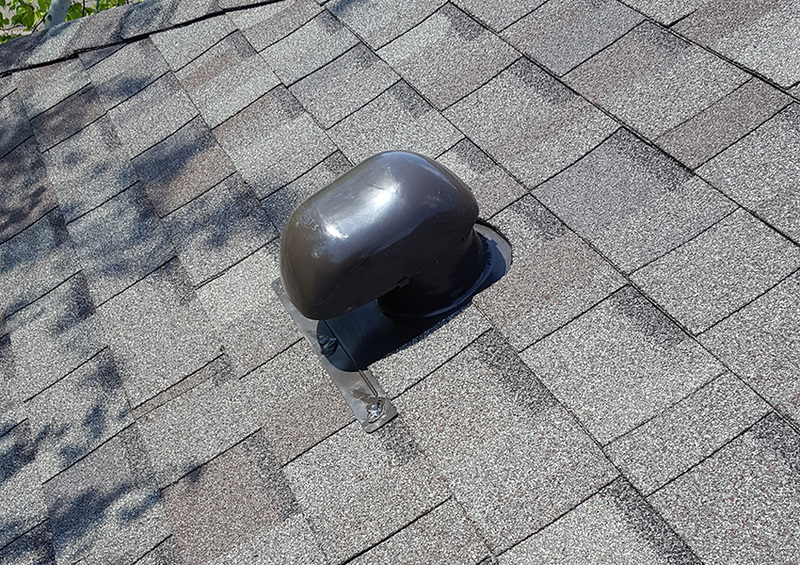 Invented by a roofer who was tired of working with a bath cap that caused issues and callbacks. The better-designed bath cap that will not leak.